We use Excelsius Laser technology. 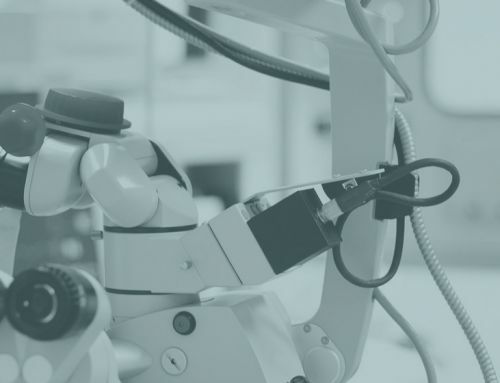 More than two million procedures have been performed and fewer than one percent of patients have experienced any kind of serious, vision-threatening complications. As with every surgical procedure, there are risks and benefits of these procedures. During your vision correction consultation, your doctor will give you a thorough explanation of all the risks and benefits involved with these procedures. We take every precaution to ensure risks are minimized, and we go out of our way to make sure each patient is well-educated about the risks and benefits of LASIK. LASIK, like any other surgery, has certain risks. However, LASIK risks are minimal when LASIK surgery is performed by an experienced LASIK surgeon after a thorough consultation and a complete discussion of patient goals, LASIK Eye Surgery is one of the safest, most effective and predictable types of surgery one can have today. 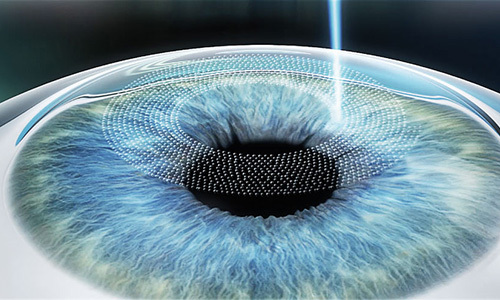 However, LASIK is surgery, and as with any type of surgery, there are risks and complications that patients should be aware of and fully understand before consenting to have LASIK, Custom LASIK or any Laser Eye Surgery procedure for the correction of nearsightedness, farsightedness or astigmatism. The following information is provided for your information and education and should not be regarded as a substitute for either a frank discussion about your individual situation or proper informed consent at the LASIK practice of your choice. LASIK side effects vary according to the patient. The majority of patients experience none, but the most common ones described are a ghost image on figures or objects, a doubling of the image, mild glare, mild fluctuation of vision, scratchiness or dryness, and a possible decrease in contrasts. These effects usually last only a few days. 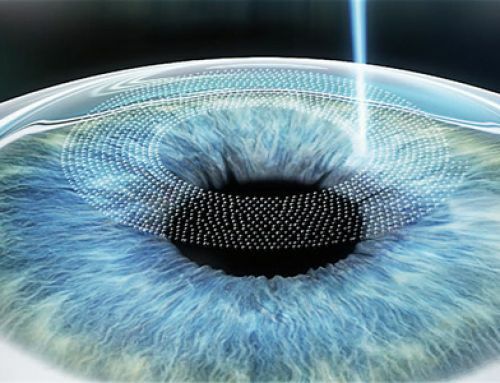 All potential LASIK patients should be fully informed about what to expect from LASIK, Custom LASIK or any Laser Eye Surgery in terms of what a specific LASIK Eye Surgery procedure can be expected to be delivered in regarding far vision-both in normal daylight as well as dim or dark night conditions, near vision, long-term stability of the correction, need for enhancements, discomfort during and after your procedure, healing time and visual recovery and specific risks regarding the procedures. EXPECTATIONS SHOULD BE SET FOR YOUR INDIVIDUAL CASE as there may be special considerations for your prescription, age, occupation, recreational activities or other personal factors. An important responsibility of each and every LASIK patient is to establish a definitive set of personal goals or objectives-things they wish to be able to do better, more comfortably or conveniently without being dependent on glasses or contact lenses. To accomplish this it is necessary to have detailed communication with your LASIK surgeon and their staff about what exactly you would like to achieve. It is important for your LASIK surgeon and staff to understand all of your expectations so they can explain what is realistic and what is not. Even though the LASIK procedure is one of the most successful in any field of medicine today, it is difficult for even the most skilled and experienced LASIK surgeon to guarantee that you will have 20/20 vision without correction. This is because you are an individual and your eyes heal differently and possibly at a slightly different rate that someone else. 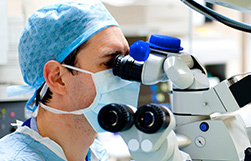 On the other hand, if you establish a set of success criteria that are related to your individual lifestyle needs and activities, it is highly likely that your LASIK surgeon will be able to assess the chances of success that you will be able to do those things without having to wear glasses or contact lenses after your LASIK procedure. LASIK Eye Surgery can significantly reduce your dependence on glasses and contact lenses, but eventually, most patients will need glasses for reading. Some may even need a thin pair of glasses for critical distance activities such as driving at night. 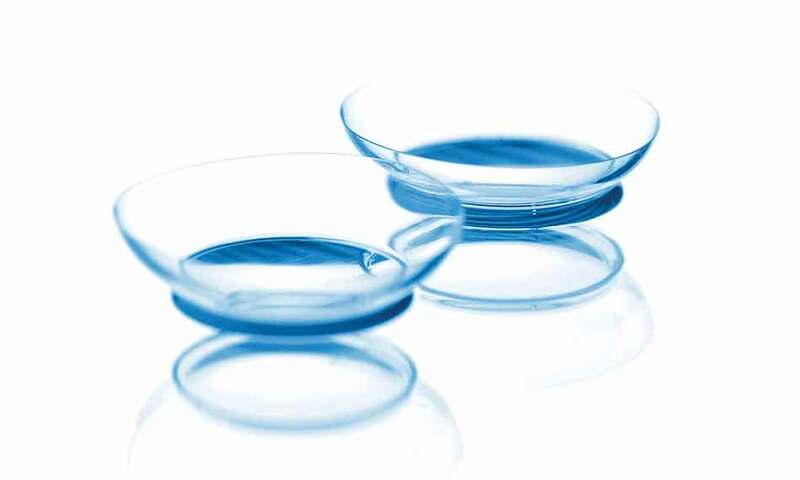 It is best to think of this procedure as not eliminating but rather reducing your dependence upon glasses and contact lenses and improving your natural vision. Even if you do not have LASIK Eye Surgery or any type of Laser Eye Surgery, it is normal and expected that everyone’s eyes change slightly over time, sometimes from one year to the next. After your LASIK procedure, your eyes will still change slightly, not because the procedure was unstable or unsuccessful, but rather because all eyes change. For the great majority of people, their vision will not change enough to require any additional treatments for their distance vision correction. To correct your individual prescription, your LASIK surgeon will apply a particular amount and shape of laser energy to obtain the desired correction. The amount and shape is based on a “nomogram” which each LASIK surgeon develops for his practice and the typical response of patients he or she treats. However, individuals are different and may not respond in an entirely average way to the application of the laser. Usually, this difference in response is barely if at all noticeable, but sometimes an undercorrection or overcorrection will occur. Undercorrection or overcorrection is often temporary, but can sometimes be permanent. If it is noticeable, your LASIK surgeon will monitor this, as it is difficult to determine its significance until about three months after your LASIK procedure. Undercorrection is more common than overcorrection. A slight undercorrection will not seriously affect your vision and may actually be desirable following a nearsighted treatment in patients over forty to help with reading vision. If they occur, more significant undercorrections may require an enhancement procedure. The incidence of undercorrection varies with prescription and is more common in patients with higher levels of nearsightedness, farsightedness, or astigmatism. For example, a patient with a prescription of less than 3.00 diopters of myopia has about a two percent chance of needing an enhancement procedure. On the other hand, a patient with more than 9.00 diopters of myopia has more chance of requiring an enhancement procedure. 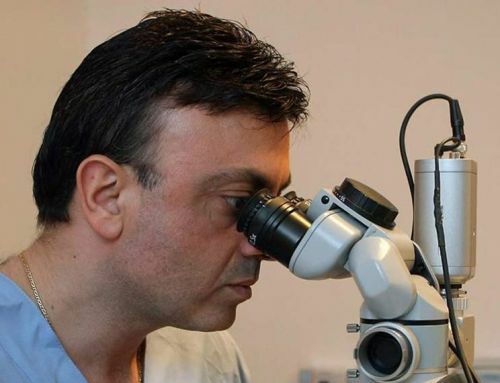 LASIK surgeons continually strive to reduce their incidence of undercorrection and overcorrection by using consistent technique, meticulous instrument and laser calibration and constantly analyzing their outcomes. Your LASIK surgeon should keep an ongoing database of patients results from which they are able to adjust their nomogram for individual patient situations. By actively doing this, they are able minimize the chances of unplanned undercorrection or overcorrection. Depending on your specific treatment, sometimes an initial overcorrection may occur and usually corrects itself in the first month or so. Following a farsighted treatment, an overcorrection will make you temporarily nearsighted, making your distance vision somewhat blurry and your near vision rather good. This is usually temporary. Following a nearsighted treatment, an overcorrection will make your vision at close range more difficult. This too is temporary. These temporary undercorrections and overcorrections are tolerable for most patients. Your LASIK surgeon may prescribe different or additional eye drops after your LASIK procedure if you have a significant undercorrection or overcorrection in order to help you heal a bit more predictably. The number of permanent overcorrections is fewer than that of undercorrections. As with undercorrection, a significant overcorrection may be treated with an enhancement procedure. In general, enhancements may be performed three to six months following the initial treatment after your vision has stabilized. It is unusual, but possible, that astigmatism can be induced following LASIK, resulting in blurred vision postoperatively. Astigmatism can be easily managed in combination with either an overcorrection or undercorrection retreatment. 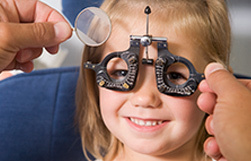 Small degrees of astigmatism are well tolerated and can even enhance vision in some circumstances. 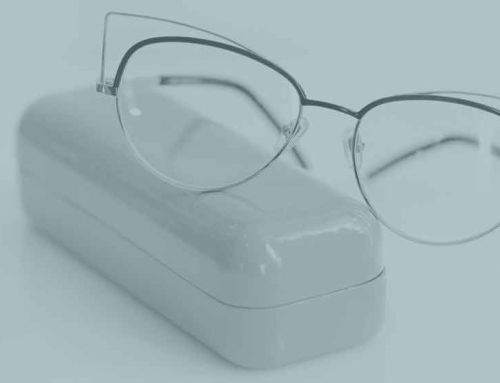 If your vision does not meet your expectations and allow you to do the specific things you desired without dependence on glasses or contact lenses after the primary treatment, there is a high likelihood that if the situation is caused by an overcorrection, undercorrection or induced astigmatism it can be corrected . It is normal and expected for patients to experience a sensation of “grittiness” or “sandy” feeling in the eye following LASIK. This sensation usually tends to resolve itself quickly. It is important to use lubricating eye drops very often after LASIK as this will help your eyes heal and minimize the dry eyes symptoms. If you have any history of dry eyes, it is important that you tell the LASIK surgeon so that they can carefully evaluate you for dry eyes prior to the LASIK procedure. 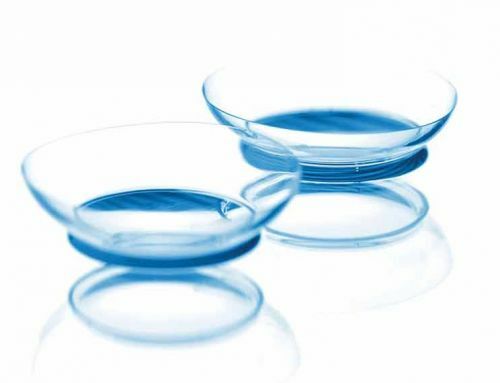 Tell your doctor if you experience dry eye symptoms with contact lenses or glasses. With surface ablation procedures such as PRK , and LASIK an occasional finding is the formation of haze. Haze is the term used for a cellular reaction that may develop in the corneal stroma after these procedures. It is believed to be the result of material being secreted from the surface cells and deposited in the anterior corneal stroma. Serious haze occurs in less than one percent of patients who have undergone PRK and is even more rare with LASIK. Even a moderate amount of haze will not affect your vision. Following PRK, haze may be aggravated by ultraviolet light (sunlight), so it is important to wear good sunglasses with ultraviolet protection when in bright sunlight. Ultraviolet light does not generally cause haze following a LASIK operation. If haze does occur, using or increasing the frequency of steroid drops or irrigating underneath the LASIK flap will usually cause the haze to resolve without affecting your vision. Very rarely, however, haze can cause a reduction in the crispness and clarity of vision, and possibly a reduction in best-corrected vision. In surface ablation procedures such as PRK, the application of a drug called Mitomycin C may actually prevent haze. During the LASIK procedure it is possible to develop a small corneal abrasion. Even with excellent surgical technique and a moistened eye, a small breakdown in the epithelial surface may develop as the microkeratome is used to makes the corneal flap. 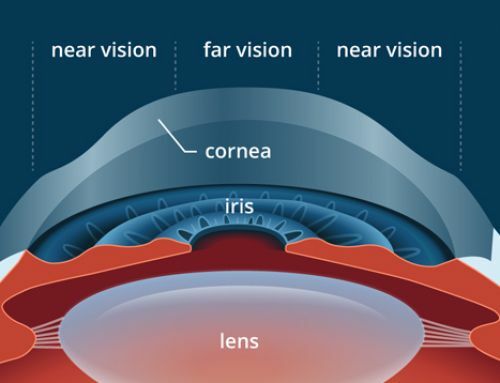 This occurs in a small percentage of LASIK procedures because in some eyes the surface cells may not adhere well. Unfortunately, it is not always possible to detect who may be prone to corneal abrasion preoperatively. A very thin bandage contact lens may be placed on the eye by the surgeon if this occurs. It improves comfort and promotes healing. The bandage contact lens is removed in one to two days. Fortunately, the epithelium grows back so quickly that eyes with an epithelial defect usually heal within one to two days, even without a contact lens. Your vision will be blurred during the time that the abrasion is healing. It is common for people who wear glasses and especially contact lenses, to have symptoms of glare or see halos or starbursts at night. When the pupil dilates at night in, peripheral light rays are scattered more before they reach the retina. It is this scattering that results in glare and halos. These symptoms are sometimes more bothersome after Laser Eye Surgery. This was more problematic for patients years ago when the treatment zones available with the various excimer lasers was limited, especially if the pupil dilated beyond the size of the treatment zone. While some patients may see halos or a ghosting of images at night during the first month following treatment, it is quite uncommon for these side effects to interfere with their activities. The effects usually improve in the first three months, and the overwhelming majority of significant glare problems resolve on their own by six months. For some patients, the occurrence of glare and haloes may have been due to the presence of higher order aberrations , such as spherical aberration, which we are able to measure and treat with Wavelight’s Custom LASIK . Thus today, persistent glare and haloes are uncommon. A very small number of patients may experience a slight loss of visual sharpness following LASIK vision correction. This means that you may lose the ability to read the bottom one to three lines of the eye chart. This can be due to irregular healing or an irregular flap and may improve in a few months. Careful surgical technique and good follow-up care help minimize the incidence of this problem. A reduction in best-corrected vision occurs when patients develop significant haze, diffuse lamellar keratitis, or persistent striae (wrinkles or folds in the flap). All of these complications are extremely rare and can be reversed. 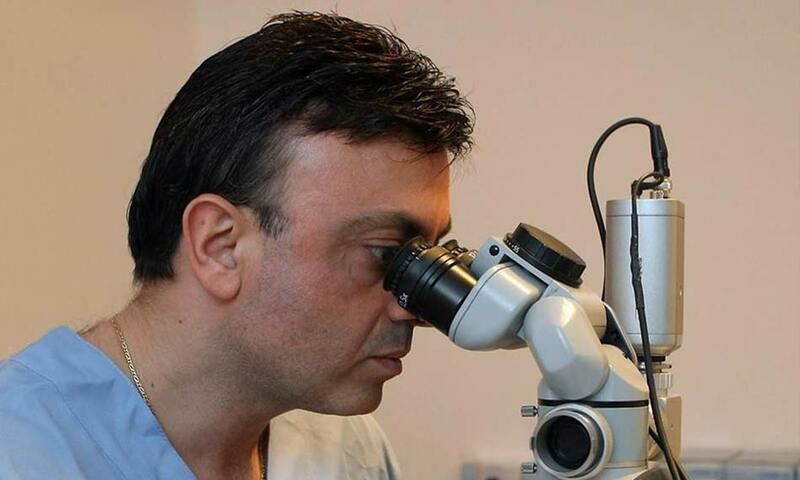 For experienced LASIK surgeons, corneal flap risks are unusual. If they do occur, they tend to occur at the time of surgery. Sometimes postoperatively the corneal flap may shift slightly. Hence, it is important–especially during the first few hours–not to rub the eye or squeeze the eyelids excessively and to keep the eyes well lubricated. If the flap shifts slightly, wrinkles, called striae may result. If these striae are present in the center of the cornea, they may distort vision and require smoothing out. This is done by lifting the original flap and ironing them out with a special instrument. When treated early, striae can usually be completely removed. Τhe overwhelming majority of flap related complications are easily managed and rarely have serious consequences in the long run. If a flap complication occurs experienced LASIK surgeons are able to handle them appropriately. If there are problems with a flap, your surgeon may elect not to go ahead with the procedure but perform it at a later date after the eye heals. 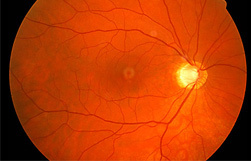 Allowing the cornea to heal for two to four months is usually adequate. The incidence of visually significant, flap related complications among experienced LASIK surgeons is less than half of one percent. It is important to understand that even if these complications do occur, though their incidence is very rare, it may take several months to get a complete return of vision following correction of the problem. Rarely, some of the corneal surface cells, called the epithelium, may grow beneath the flap created during the LASIK procedure. These cells typically do not create any problem, but occasionally they can cause postoperative blurred vision or irritation. This problem can be easily identified and treated by gently lifting the flap and removing the trapped epithelial cells. Regression refers to the tendency of the eye to drift back slightly toward its original prescription. This occurs more commonly in patients who have had PRK but occasionally occurs in patients with higher amounts of myopia, hyperopia, or astigmatism who have undergone LASIK. 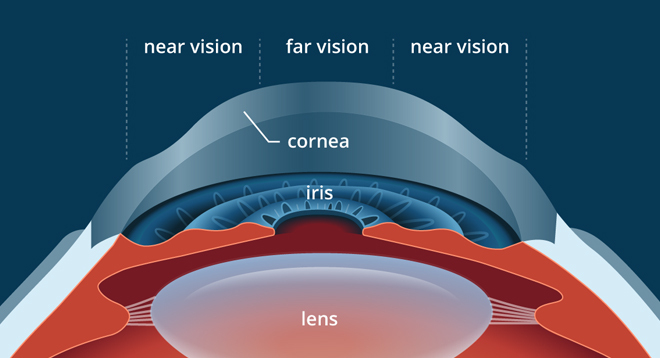 Diffuse Lamellar Keratitis–also known as the “Sands of the Sahara” syndrome–is a general inflammation that sometimes arises between the corneal flap and the underlying corneal stroma. Diffuse Lamellar Keratitis (DLK) is an extremely rare inflammatory reaction that leaves small white deposits underneath the corneal flap after LASIK. The cause of this reaction is unknown. Depending on the amount of inflammation, you may have no symptoms or you may note some haziness in your vision. Prevention requires maintaining a clean interface between these two areas. This is aided by meticulously draping the eyelids with sterile tape to keep the eyelashes out of the surgical field and by irrigating or rinsing the cornea to remove any debris that may be in the tear film before making the flap. When folding back the flap, it is important to try to prevent any unwanted debris from accumulating on the interface surface. Irrigating under the flap following the application of the laser may also help to assure a clean interface. Despite meticulous surgical technique, oily or sebaceous secretions from the patient’s own eyelid border may collect beneath the flap. This is usually of no consequence. Occasionally, microfibers from the sterile drapes or swabs may appear. Fortunately, most particulate matter does not cause problems unless it is in the visual axis. 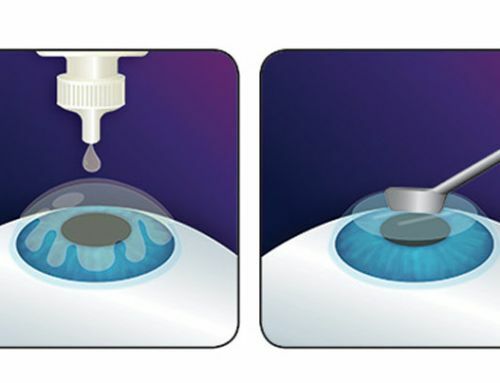 By drying around the edges of the eye, the surgeon insures that when the corneal flap is folded back, it will not be sitting in a pool of dirty fluid. Postoperatively, steroid eye drops are used to suppress inflammation. 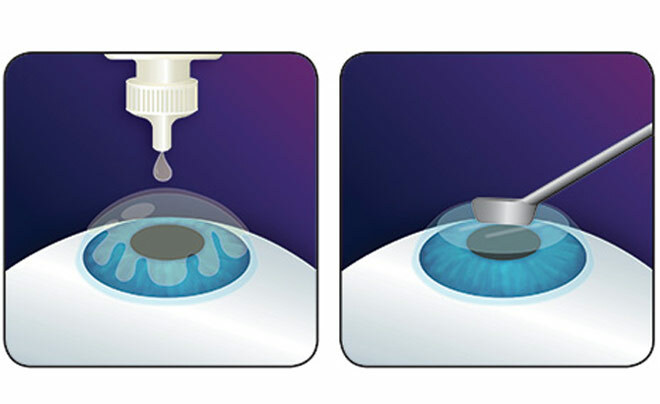 The steroid drops are applied for one week because diffuse lamellar keratitis peaks two to five days after surgery. Likewise, a single drop of a nonsteroidal, anti-inflammatory eye drop at the conclusion of surgery is essential. It serves to dramatically reduce any discomfort during the first six hours after LASIK surgery. When present, most cases of diffuse lamellar keratitis respond to treatment with steroid drops. In more severe cases, it may require that the surgeon lift the corneal flap and irrigate beneath it to remove the inflammatory cells. When recognized and treated properly, DLK rarely affects the ultimate visual. A different form of lamellar keratitis has been reported; Central Lamellar Keratitis or CLK. CLK appears within the first twenty-four to forty-eight hours and results in a severe central collection of inflammatory debris. At times the underlying stroma is also involved. Treatment is similar to DLK. However, vision may be more often affected, resulting in the need for additional enhancements after recovery. The exact causes of DLK and CLK are unknown. Although infection is the most feared complication, it is extremely rare.The estimate risk is 1 in 10,000 cases, compared with one percent of contact lens wearers annually who get similar bacterial infections If it does occur, it manifests itself in the first forty-eight to seventy-two hours after treatment. That is why it is important to avoid any contact with substances that may cause infection, such as eye makeup, hot tubs, and swimming pool water, for the first week. Additionally, it is imperative that you go to all of your follow up visits, even if everything seems to be fine. You will be using antibiotic drops postoperatively to help prevent infection. 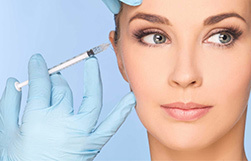 This discussion of LASIK risks, complications and side effects is meant to provide you with a working knowledge of the common range of things that can be encountered For a complete understanding of the risks, complications and side effects of LASIK Eye Surgery, it is best to fully discuss your individual situation with a LASIK surgeon or their staff.